Congress has fielded Urmila Matondkar from Mumbai North Lok Sabha seat. Actor's name was changed to Mariyam Akhtar Mir on Wikipedia by trolls soon after her candidature was announced. 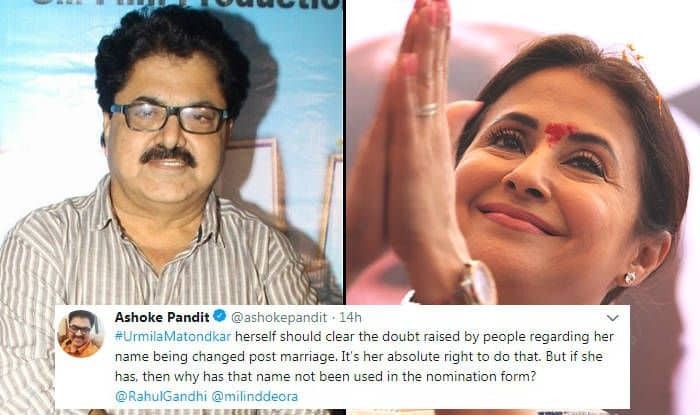 Filmmaker and IFTDA (Indian Films And Television Directors’ Association) Director Ashoke Pandit has taken to Twitter to comment on the entire fuss about actor Urmila Matondkar‘s alleged name change post marriage. After Congress announced that she is fighting the upcoming Lok Sabha elections from Mumbai North Lok Sabha seat, several trolls attacked her by changing her name on Wikipedia from Urmila to Mariyam Akhtar Mir, implying that she changed her name after getting married to Kashmiri businessman and model Mohsin Akhtar Mir in 2015. Now, Pandit wrote in his tweet that the actor should take notice of the controversy around her name and come out to clarify. He also added that if the allegations are not false and she has indeed changed her name, then it should have been reflected in her nomination form. 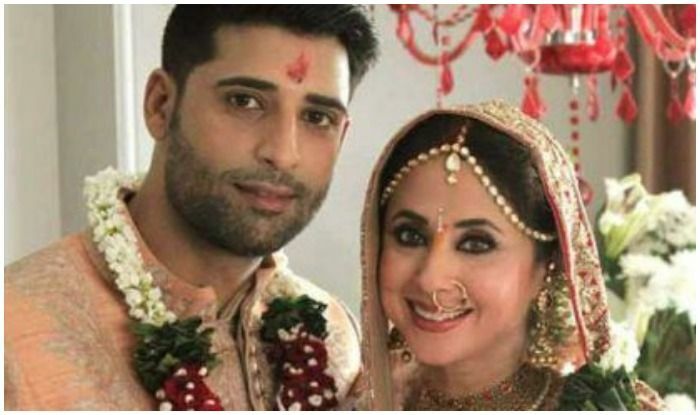 The acclaimed filmmaker wrote in his tweet: “#UrmilaMatondkar herself should clear the doubt raised by people regarding her name being changed post marriage. It’s her absolute right to do that. But if she has, then why has that name not been used in the nomination form?” (sic). He tagged INC President Rahul Gandhi and the President of Mumbai Congress, Milind Deora, in his tweet. News agency PTI reported on March 30 that ‘some miscreants’ changed Urmila’s name, religion, family history and other details on Wikipedia after Congress announced her candidature for 2019 general elections. The report added that apart from her name, the names of her parents were also changed. Citing that her father Shivinder Singh married Rukshana Sultana, the updated details implied that she was the second generation in the family to have gone for an inter-religious Hindi-Muslim marriage.